Melt the cheese between the tortillas. I typically do this in a nonstick frying pan on the stove burner over low to medium heat. But you can also do it in the microwave if you wrap the tortillas in a damp paper towel first. Warm the beans and cook your eggs to your liking. 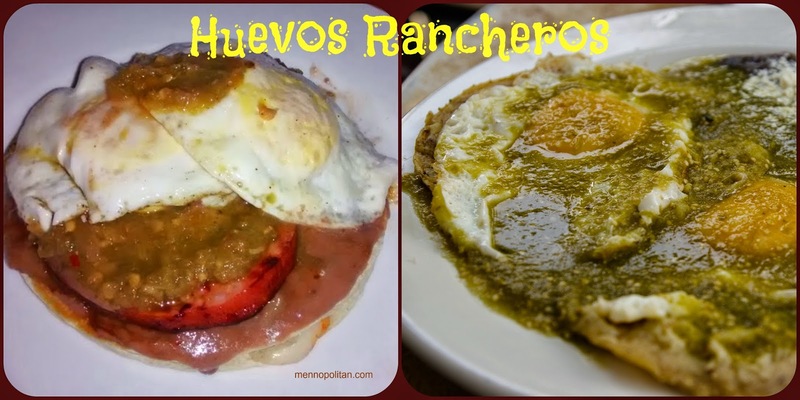 Assemble the huevos rancheros. 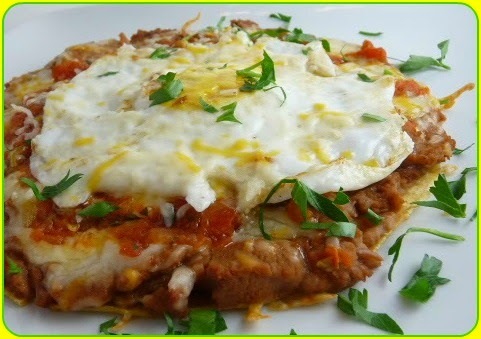 1.Tortilla with cheese, 2. ham 3. beans, 4. eggs, 5. green or red salsa.